Fiction. The daringly imagined, masterfully realized story of poet John Keats's second life abroad. What if Keats had not died in Rome at only twenty-five, just as he was coming to realize his poetic gifts? In this audacious alternate telling, the young poet is pulled back from the brink of death only to find his troubles far from over. He is short on money, far from home, his literary reputation anything but assured--but his life and imagination have been spared, and a new country awaits. In an Italy at uneasy peace, full of foreign armies and spies, Keats is drawn into Percy and Mary Shelley's expatriate circle, resumes his old profession of surgery and falls in with student revolutionaries who are plotting a more radical cure for their nation. His fianc e in London expects his return, and everyone is expecting his next poem, but he has not returned from his deathbed quite the same person--or poet--that he was. 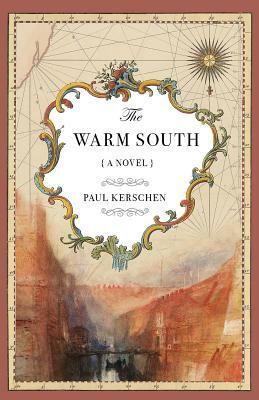 Written with deep knowledge, compassion and brio, Paul Kerschen's debut novel is a spellbinding historical yarn and a heady engagement with the literature of the past, a thing of beauty in itself and a meditation on the writer's duty in troubled times.